For years Bike Blaze Guy has maintained the green trail blazes for Baltimore's trails. Did you know this was a volunteer effort? One guy, many cans of paint, many miles on his bike. He's heading into retirement and moving out West. 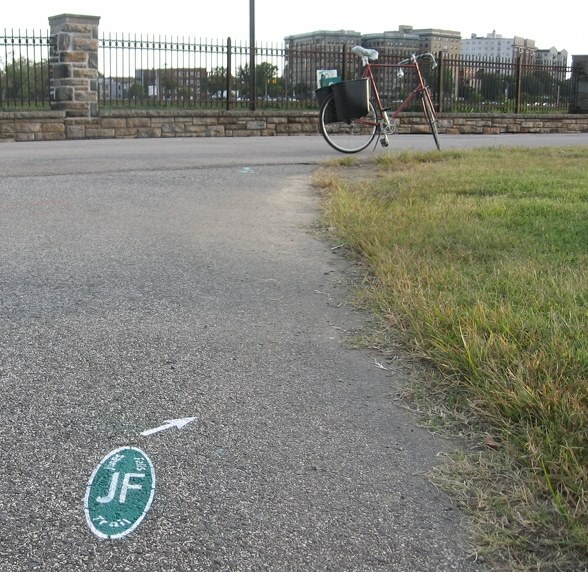 Biking in Baltimore won't be the same without him. He's given so much to people who bike in Baltimore, and we want to say thanks by sending him off in style. Join us for a Happy Hour, meet the man behind all the green paint, and connect with other people who bike so we can scheme how to keep all these blazes maintained for years to come! There will be cake! RSVP + invite your friends!